Want candlelight with the perfect shimmer of classic design and modern style? 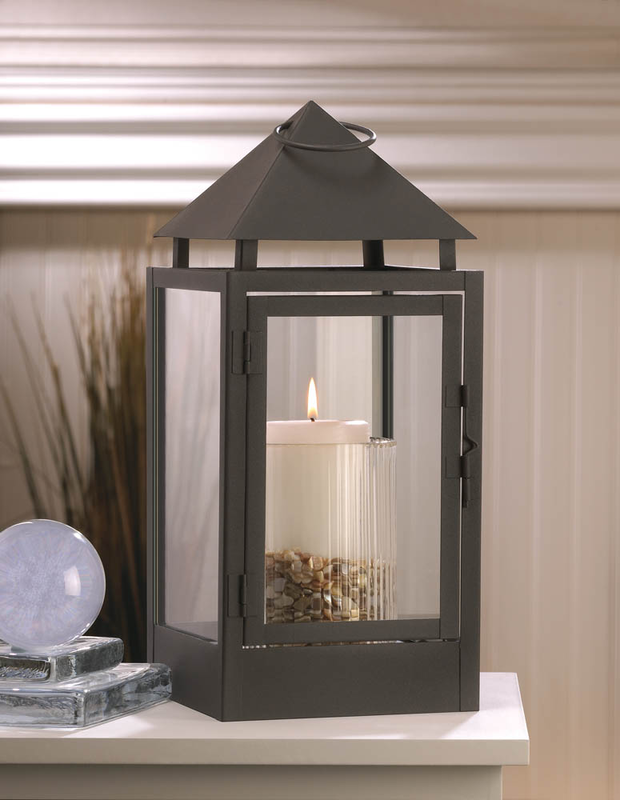 This large candle lantern is just what you need to amp up the light and style in your home or your outdoor living space. It features an iron framework, clear glass panels, a pyramid-shaped and a matte gray finish. Open the hinged door and add the candle of your choice. This large lantern is a stunning tabletop accessory and can even be hung from the top loop. Item weight: 3.2 lbs. 6½" x 6½" x 15" high; 16½" high with handle. Iron and glass. Candle not included. UPC: 849179017569.